~ WHAT IS THE ELECTRIC CAR? What is the Electric Car? 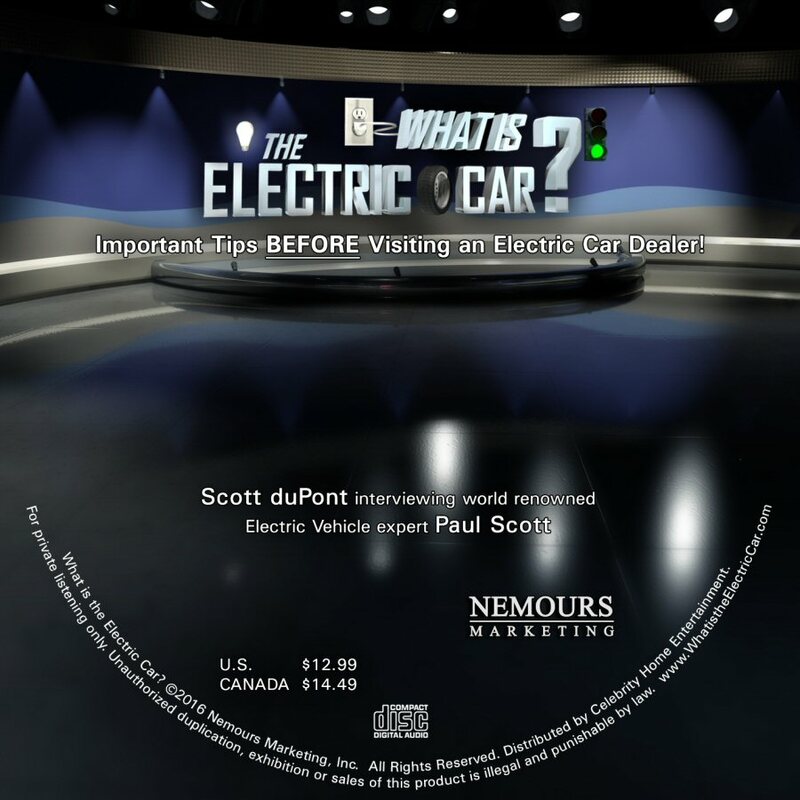 is a new feature length documentary about Electric Vehicles (EVs) now in dealer showrooms. This film takes a positive view of an industry expected to grow to over $200 billion in revenues over the next 15 years. This entertaining & educational film follows the birth of an exploding industry & looks forward to the technology now available in current EVs. The film also takes a look back at Electric cars driven in the early 1900s & compare how modern EVs are 400% more energy efficient over traditional gasoline combustible engines. 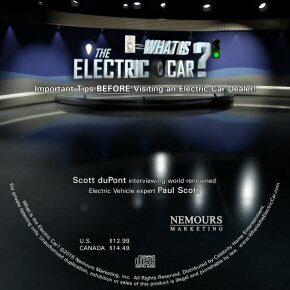 The film contains interviews with key manufacturers, vendors, drivers & pioneers in the EV industry, many who have labored almost 15 years to see their dreams & vision come to fruition. This film is not just for EV enthusiasts or passionate “Green” consumers, but for anyone who drives a car. People who watch this film may well end up soon driving their own electric car! Shot on location at the Petersen Automotive Museum, Jay Leno’s Garage, The Int’l. Detroit Auto Show, The Henry Ford Museum, & other locations in California, Detroit, New York, & Florida. Run time of 75 minutes. Include the brand NEW book as well! “What Is the Electric Car? 79 REASONS to Drive Electric” is a spin-off from the award-winning film. Features an Introduction by Actor-Activist Ed Begley, Jr. & an epilogue by MLB All-Star Jeremy Guthrie. The list of contributing authors reads like the “Who’s-Who” in the world of International Associations & Organizations, Electric Vehicle experts, Professional athletes, and Hollywood celebrities. 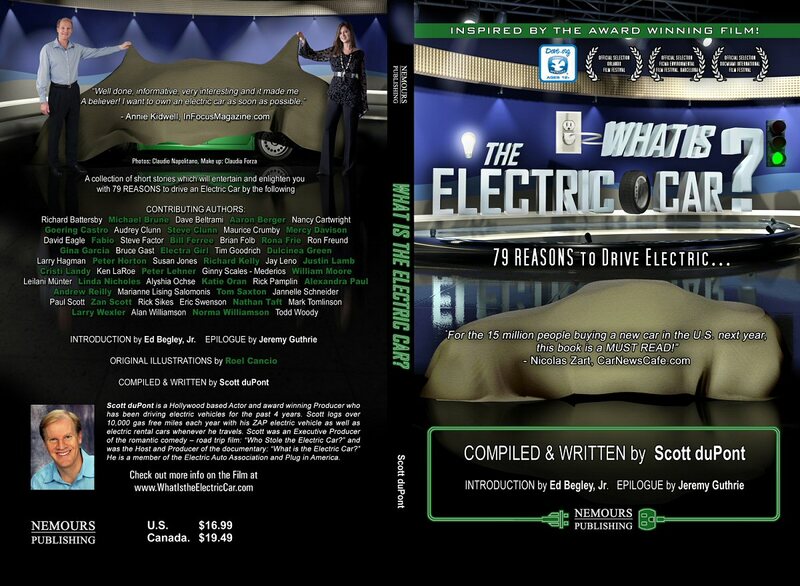 The book covers every conceivable reason why drivers will want to consider electric for their next vehicle purchase. Combination price: Get the NEW book along with the DVD, both for $29.95. Your combination price $29.95 ORDER BELOW! 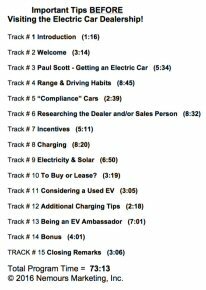 Get this critically IMPORTANT Audio Program before shopping for your electric car! 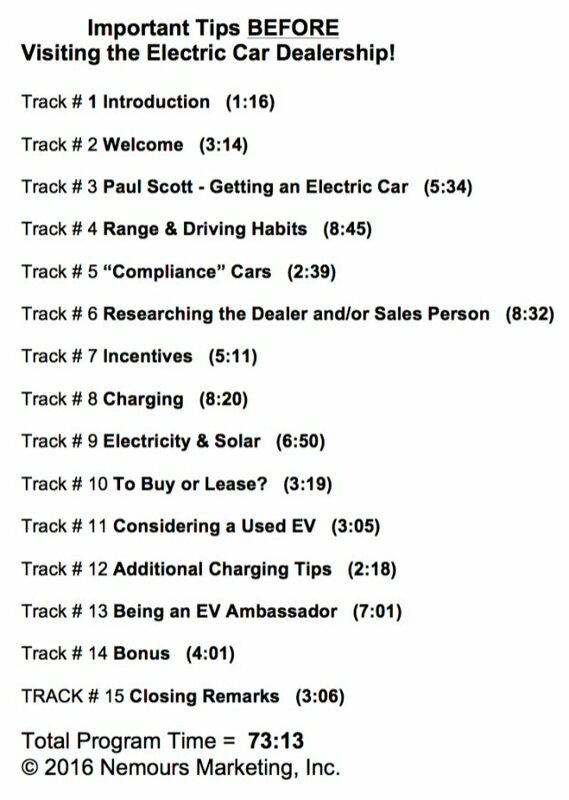 This is the first & only interview Paul Scott (one of the world’s electric car experts who sold more electric cars than anyone in the U.S. during his short tenure as Nissan LEAF car salesman) did where he agreed to share all the Important Tips BEFORE Visiting an Electric Car Dealer! Retail: $12.99, Now just $9.99!